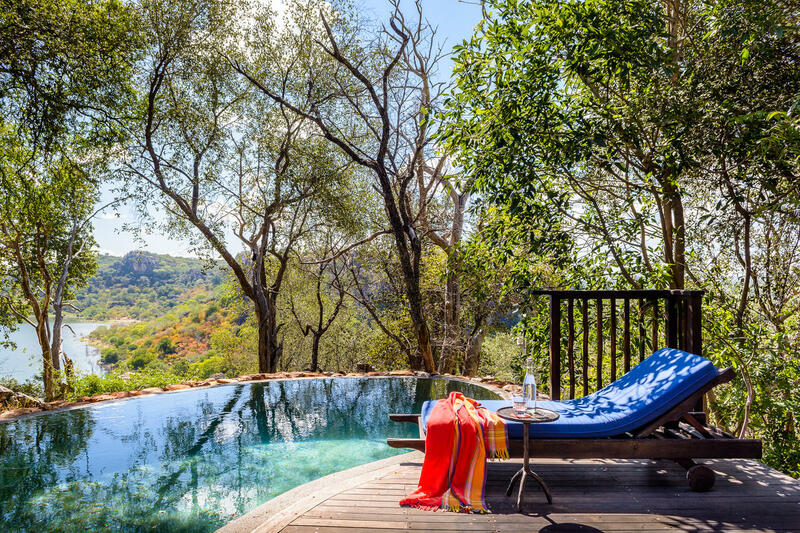 Singita Pamushana is one of Zimbabwe’s best kept secrets found atop a hill overlooking the vast Malilangwe Wildlife Reserve. Resting beneath towering tree canopies, the lodge is integrated into the natural environment and the forest-like architecture allows for unrestricted views of the pool, the lush gardens and the lake below. The Malilangwe Wildlife Reserve is home to an abundance of birds and wildlife such as the black rhino and sable antelope. 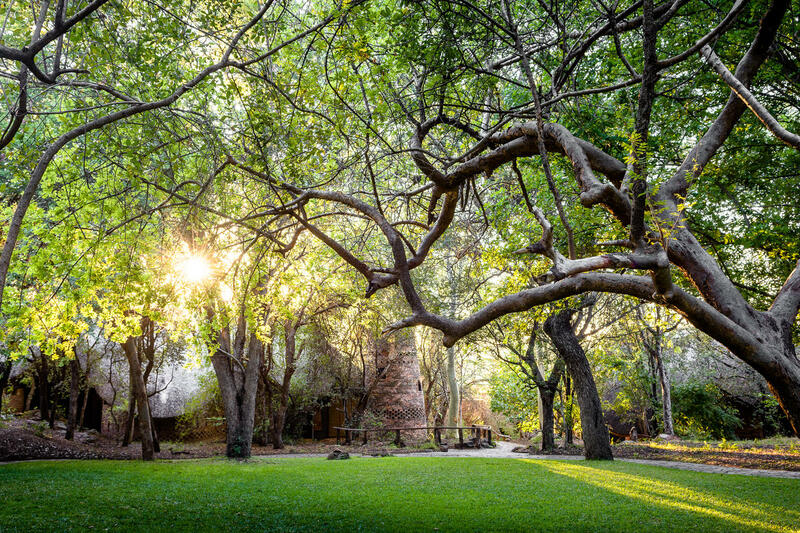 Also visible from the lodge is the cathedral Mopane forests and world-famous ‘upside-down’ Baobab trees. 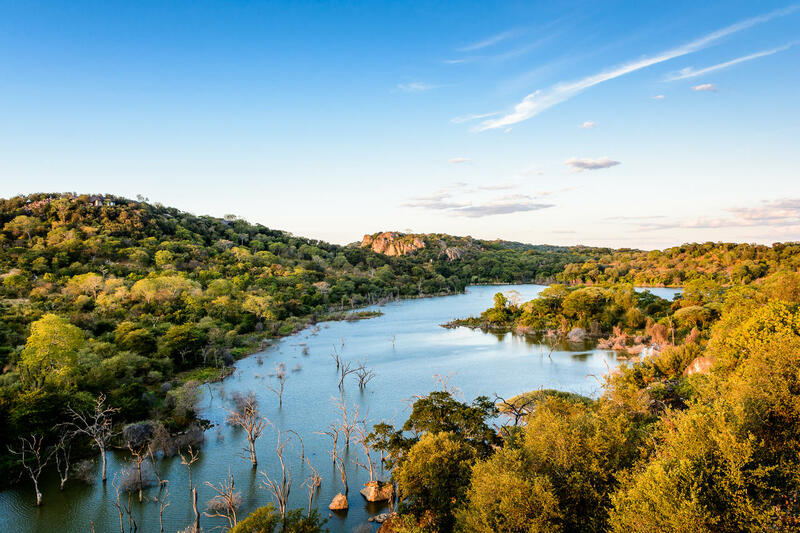 Singita Pamushana Lodge is currently closed while it undergoes a face-lift, but will be re-opening mid-May 2018 so that you may once again be privilege to these beautiful sights and sceneries. 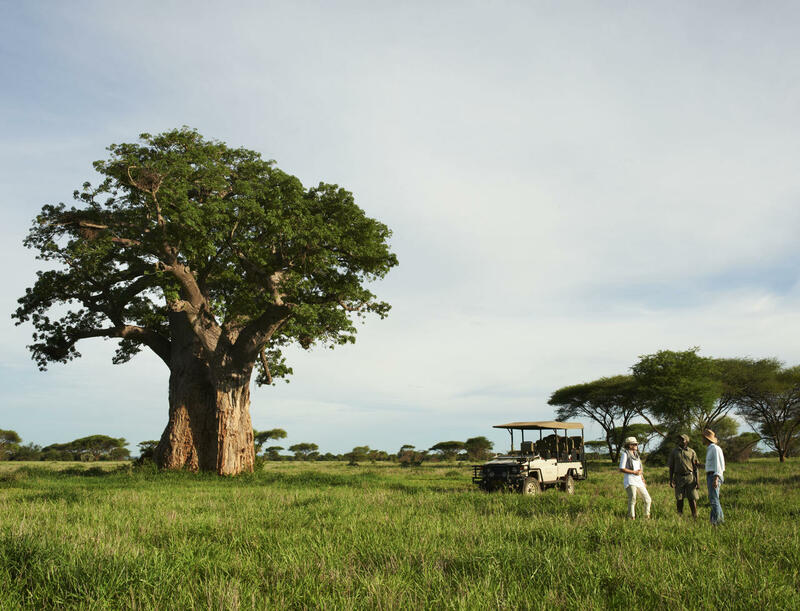 Singita Pamushana’s transformation will offer guests the opportunity to not only take in the landscapes, but relax in ultra-luxurious traditional spaces that are both reminiscent of the Great Zimbabwe Ruins while signalling modern optimism with its style, interiors and architecture. The refurbished Singita Pamushana is reflective of an African Palace. The majestic architecture has always been a signature of the lodge and will be further amplified with the main lodge decks and living spaces being extended to maximise the connection to the natural beauty of the surrounding area in the Malilangwe Reserve. 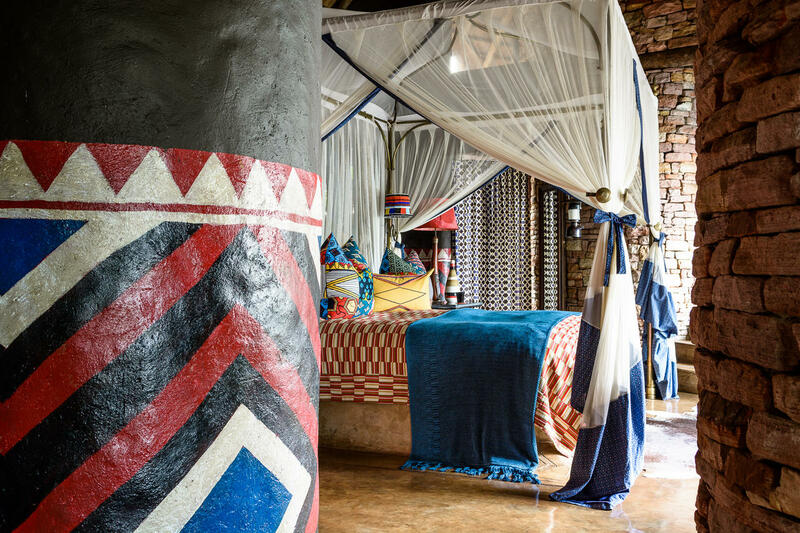 New interiors of the lodge will reflect original references to the local Shangaan culture and will be mixed with contemporary forms and styles inspired by these African patterns and shapes. Smart and refined details will set the tone against massive proportions and colour blocked palettes of ochre tan, ebony black, ivory white, gold and brass metals. This small and intimate lodge will extend its accommodation with two additional, 2-bedroom suites. Singita Pamushana will now accommodate a total of 8 suits and 1 5-bedroomed villa. The brand new suites will be more remote, offering privacy and exclusivity. Situated a distance from the main lodge, these two suites are perfectly suited for couple getaways and family vacations as it is charged on a per unit rate. The master bedrooms boast an outdoor shower, allowing guests’ unlimited freedom to be in and one with nature. Relax in your private plunge pool, or in front of the double-sided fireplace. No palatial accommodation is complete without royal amenities – set out on to the game viewing deck with the lodge’s Swarovski spotting scope. 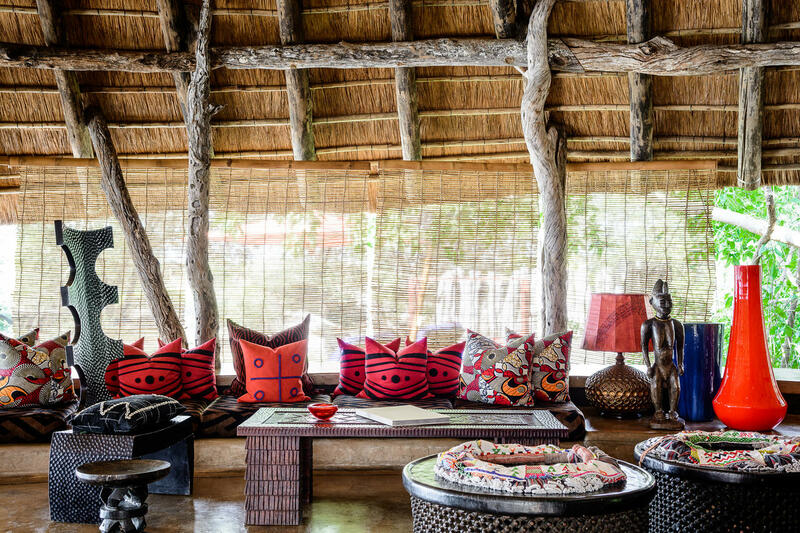 Take a stroll back to the main lodge area for an evening meal in the open dining room, or visit Singita Pamushana’s library for an interesting read. There is no place here that won’t have you relaxing – whether it is the bar, open-air lounge, the wine cellar or one of the heated swimming pools, you’ll always be overlooking the Malilangwe dam and sandstone hills.